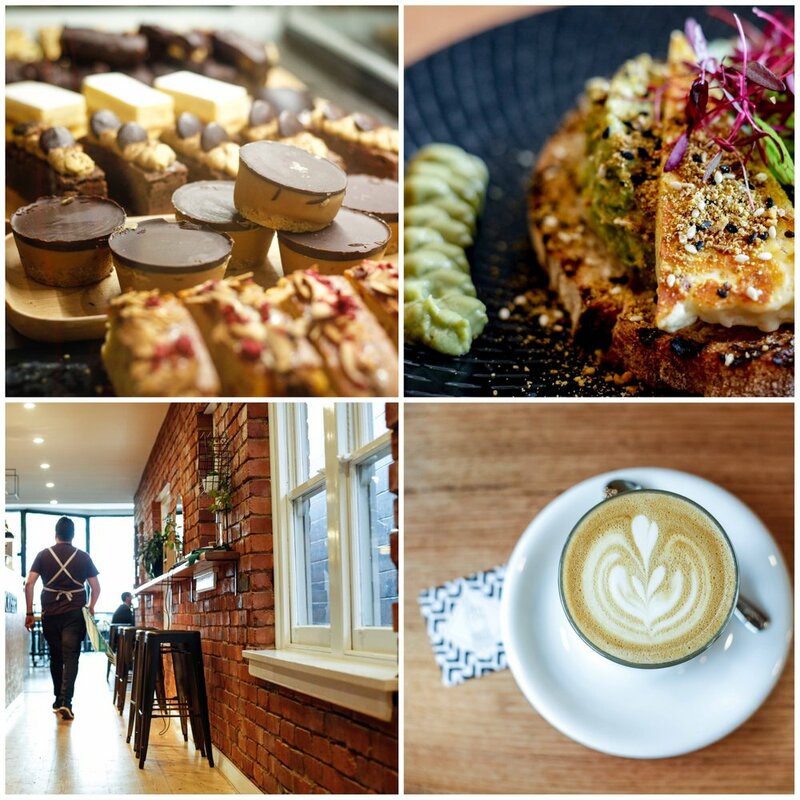 Mamma says it is VERY WORTH the detour off the Ringwood Bypass to stop at Fingers Crossed - Ringwood's spunky cafe. It is run by a family power team, husband and wife Nick and Jacqui with Nick's parents Michael and Debby. Together they have worked hard to produce a cafe with all the important little touches. Bread that is perfectly toasted. Cutlery you can actually use to slice through your brekkie. And a brilliant menu for big AND little people. The space is stunning too. Hints of copper, big bench seating and plenty of room to bring in a pram. 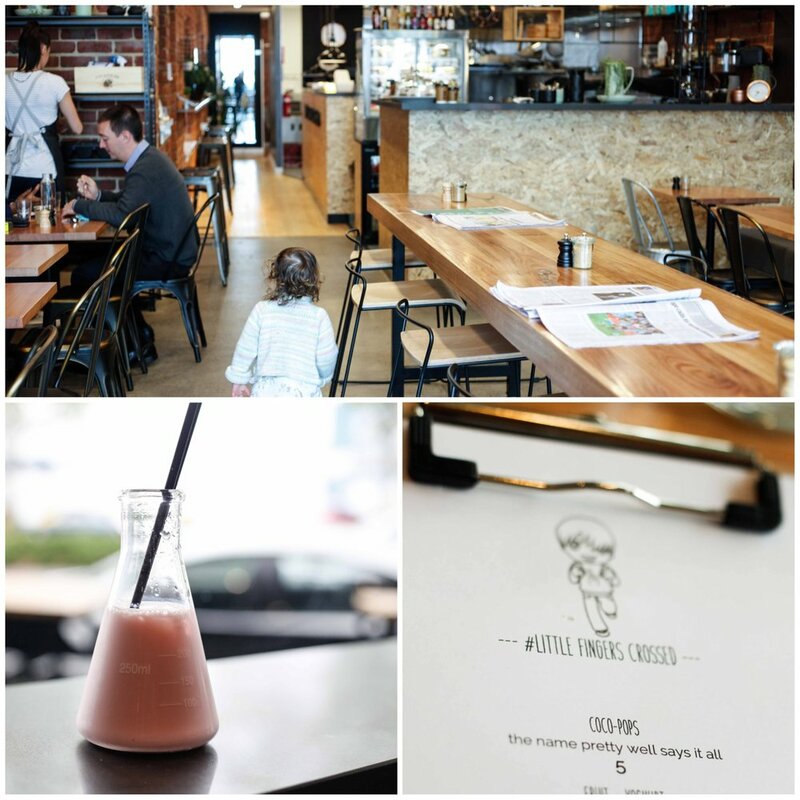 Mamma highly recommends the av'n'av - the smashed avo with halloumi and Bub's suggested the kids stick with the peanut butter on toast with a strawberry milk chaser in a erlenmeyer flask - of course!. There is also a backyard dining area which makes this spot even better for the whole family. Now not only do you have to head there to try the Axil coffee, you have to test the kids and see if they can cross their own fingers! Bubs better learn quick - we will be back soon enough. Mamma's special mention: Mamma's favourite little hidden playground is nearby - Sherbrook Reserve (or BIG BLOCK park!) and is worth checking out after lunch!